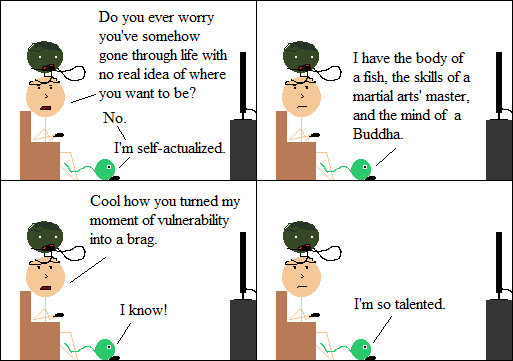 Inspired By True Events - Nimmo might have a very slight humility problem. Nimmo might have a very slight humility problem. Or he might not! His self-esteem is probably the key to his success, imaginary readers, and who am I to take that away?